 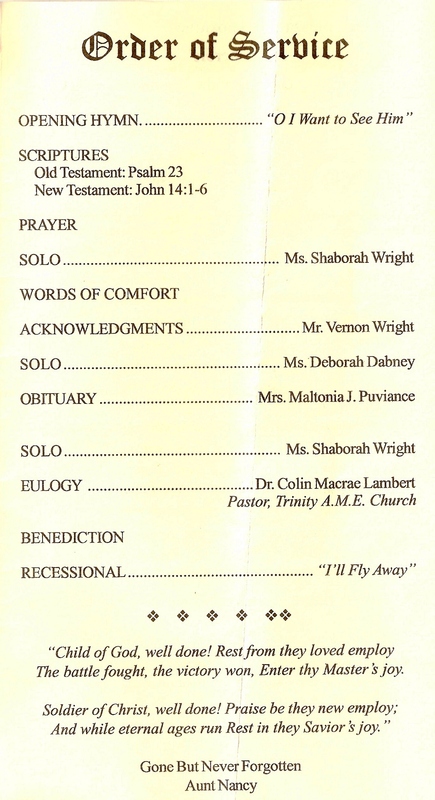 This brochure is from the “Memorial Service” held on Friday, September 9, 2005. 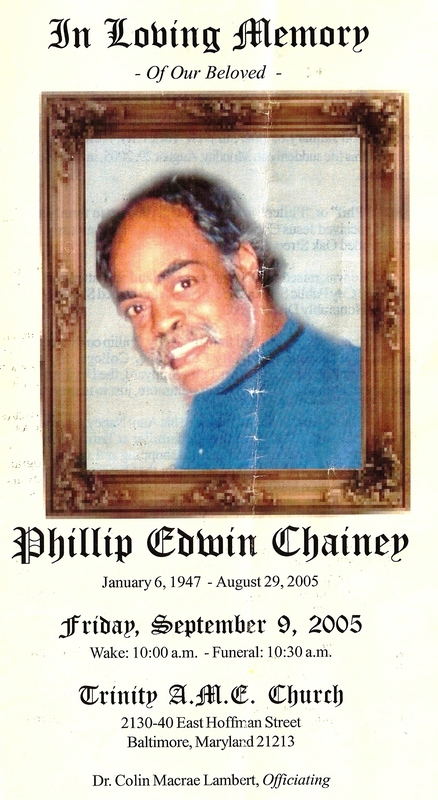 The service was held to lay to rest our fallen brother, Phillip Edwin Raeford Chainey. 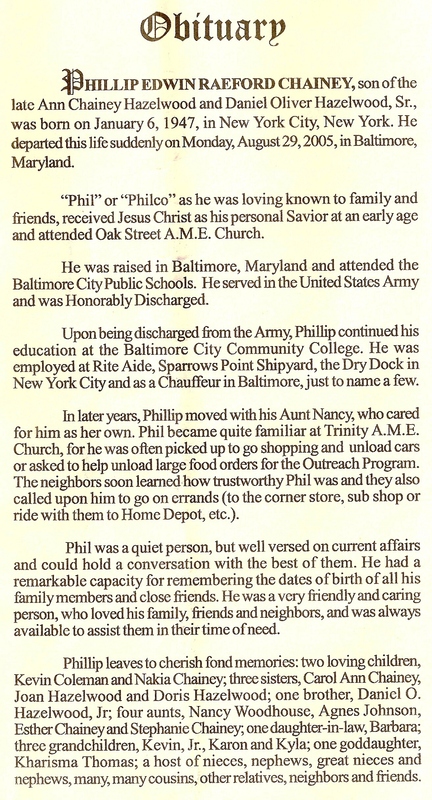 The service was held at the Trinity A.M.E. Church, Baltimore, Maryland, where Phillip was a member. 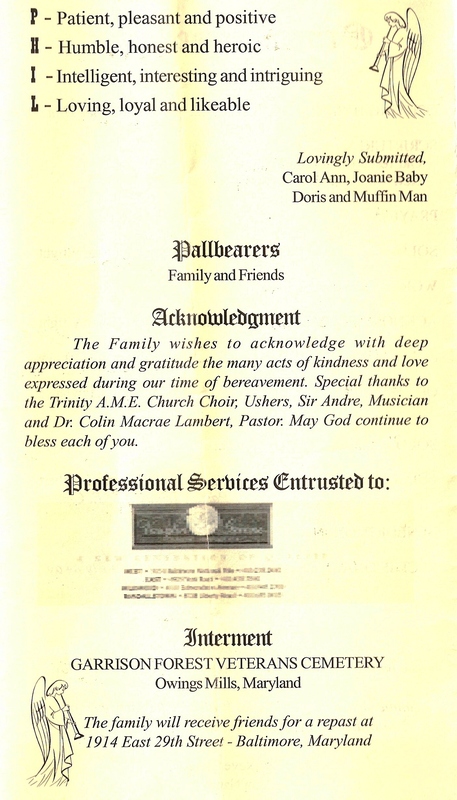 Interment was at Garrison Forest Veterans Cemetery, Owings Mills, Maryland. 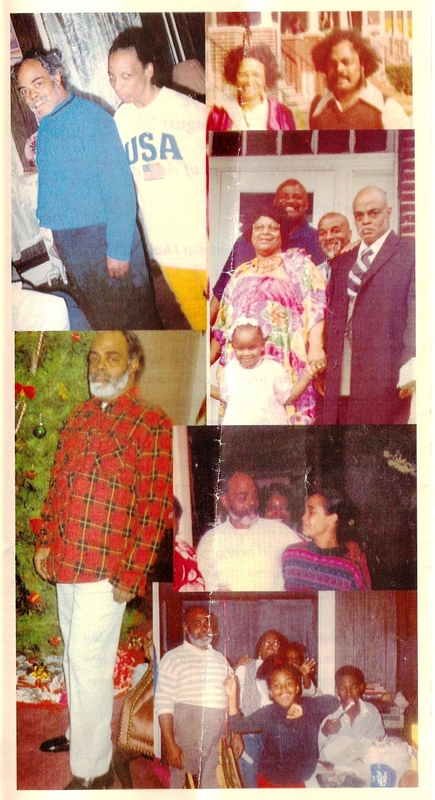 This brochure was sent to us by Leanna Chainey, Phillip's cousin.